Freezing cold outside. The wind blew the doors open while we were off celebrating the Inauguration, so we walked into an icebox of a studio. After building a big fire, the place is finally thawing out. 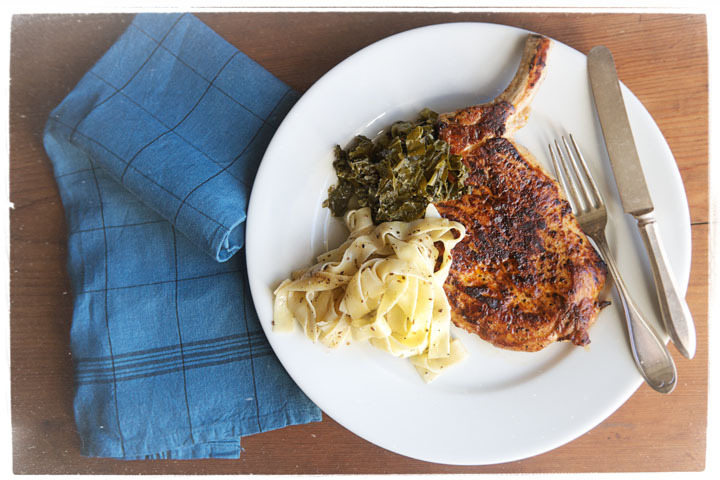 A hearty lunch is in order—a seared flattened pork chop, caraway cream noodles, and fermented kale and collard slaw. After so much pomp and ceremony, it’s nice to let it all hang out at home.